Is the title of this acrylic on board painting of Jesus doing just that! As I have said before I really enjoy painting religious motives but am not a follower of any particular religion. I guess you can say that I am hedging my bets as I wear a Cross and a Budda around my neck and am keen to add to that with a Ganesh (love that elephant symbol) and also some others too. I am a child of the world and believe in peace and happiness for everyone no matter what colour of the skin, cultural background or sexual orientation. 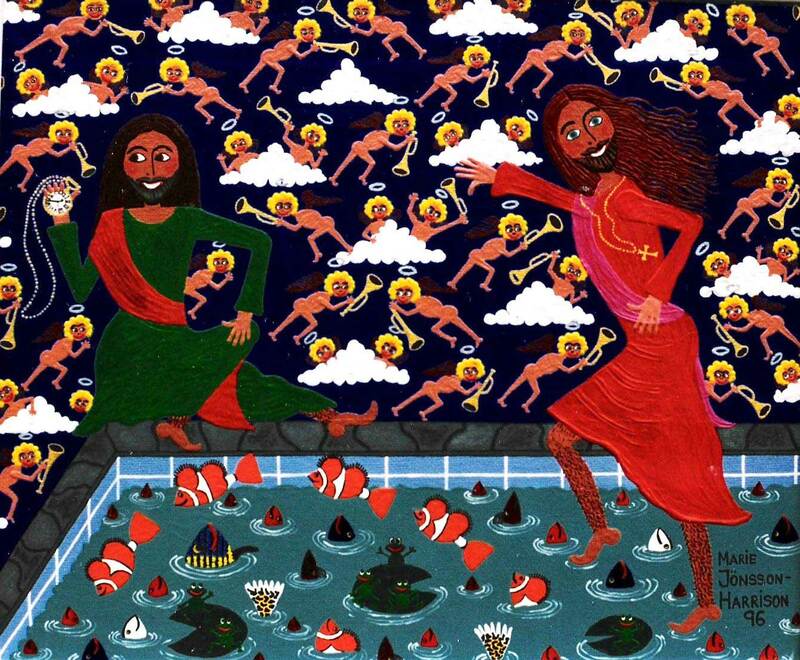 If you fancy having a look at another of my religious painting Noahs Ark, use this link (as well as some more thoughts about religion.) 29. Religious Paintings. Walk across my swimming pool! I do really hope there is a heaven as there are lots of people & animals that I so want to see and hug again – top of that list are my darling grandparents. Not that I am in any hurry – well if it was possible to make a daytrip and just visit and then come back to earth and life as normal – yes then I would be lining up for a ticket. I have the sketch for exactly that painting and at least I will paint it one day – Daytrip to Heaven. 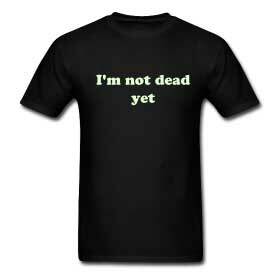 I think just so there wouldn’t be a mix up for the return journey, a T-shirt from Monty Pythons show Spamalot would be the attire for the day with the inscription across the chest of “I am not dead yet”. Just in case – right? Francis and Putu at White Cedars Cafe in Burra and here is a link to another art blog about them which you may enjoy; 24. Noodles Anyone ? For a recent SALA exhibition Putu came up with the idea when they went and saw a Dorrit Black retrospective at the Royal Institute (and saw that most of the work there were on loan), that it would be lovely to ask the connoisseurs among their friends to hang their most prized possessions whether it was their own artwork or by someone else. Perhaps a memory of a time and place or person and to go with the artwork a brief explanation of why this particular piece is precious. It is fitting then that I leave you with the title of a song from Monty Python’s “Life of Brian” – a song that I have requested to be played at my own funeral (which hopefully will be many, many moons from now).